Statement according to Sanni Onogu, Chief Press Secretary to the Senate President, The National Assembly and the African Capacity Building Foundation (ACBF), have signed a $1.1million project grant agreement for the National Institute of Legislative Studies (NILS) to enhance the legislative capacity of lawmakers in the West African Sub-region and their staff. 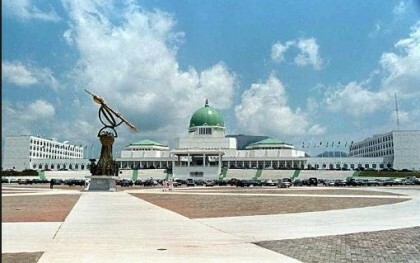 The President of the Senate and Chairman of the NILS Governing Council, Dr. Abubakar Bukola Saraki, who signed on behalf of the National Assembly, stated that the NILS-CAP II which targets capacity development in ECOWAS countries and the ECOWAS Parliament, would effectively facilitate the implementation of intra-regional trade among ECOWAS member states and effective financial oversight in the sub-region. Others are: Executive-Legislature relations on appropriation; Financial audit of public institutions: Lessons of experience; Issues in public financial management particularly relating to infrastructure financing; Compliance with prudential guidelines including Basel core principles, IFRS and electronic payments System standards; and the Role of parliament in monitoring and evaluation of PIDA Projects. “As part of the programme, a platform would be created for legislators in the ECOWAS sub-region including Nigeria and other governance actors to discuss these daunting issues and to come up with practical solutions,” Saraki stated. He further stated that it has become imperative for sub-regional governments to prevent dumping and smuggling of goods into their countries so as not to undermine the huge investment for domestic production. “Furthermore, we are also aware of the establishment of large pharmaceutical industries in the sub-region with the intention of exporting their outputs to Nigeria thereby, constraining the viability of local industries,” he stated. The Executive Secretary of ACBF, Professor Emmanuel Nnadozie, said the implementation of the project would further enhance the status of NILS as a national institution with regional outlook. On her part, the Director-General of NILS, Professor Ladi Hamalai, said the National Assembly/NILS-ACBF collaboration over the years has helped to scale up legislative capacity development in Nigeria and the West African sub-region. She lauded the ACBF for continuous support to NILS and her significant role in strengthening national parliaments towards sustainable development in West Africa.